Cover Design by Sung-Hee Son. Cover Art by Makeba Kedem-DuBose. Tara Betts received her MFA from New England College and is a Cave Canem fellow. Her work appears in Callaloo, Essence, Gathering Ground, and The Spoken Word Revolution, among other publications. 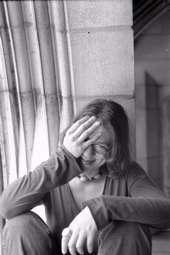 She teaches creative writing at Rutgers University and lives in the New York area. Arc & Hue is her debut collection. Tara's ARC & HUE official release party featuring Latasha Natasha Diggs, Aracelis Girmay, Rachel McKibbens, Nemiss, Giselle Buchanan & Cynthia Ceez Keteku of the 2009 Urban Word slam team, host Mahogany Browne and others. This is Tara's official Chicago release party. Arrive early since we are expecting a large turn-out! 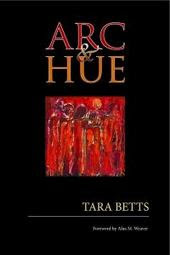 You can still pre-order your copy of ARC & HUE before the readings below for 20% OFF THE COVER PRICE. 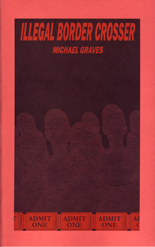 Just visit Willow Books Poetry or http://stores.aquariuspressbookseller.net/Detail.bok?no=34 before 9/1/09. If you order after, Sept. 1, the price will be $15. Get your discount now! Monte Smith's DON'T SHOOT THE HOSTAGES is Out!